Products of the week? We’d like to emphasize with enthusiasm, more like essential products to help slow the aging process. Both Botox and Xeomin are purified proteins that when injected into facial muscles, help to cause relaxation which in turn, results in reduced wrinkles or lines in the skin. Botox and Xeomin last about 3 months each and require absolutely no down time. 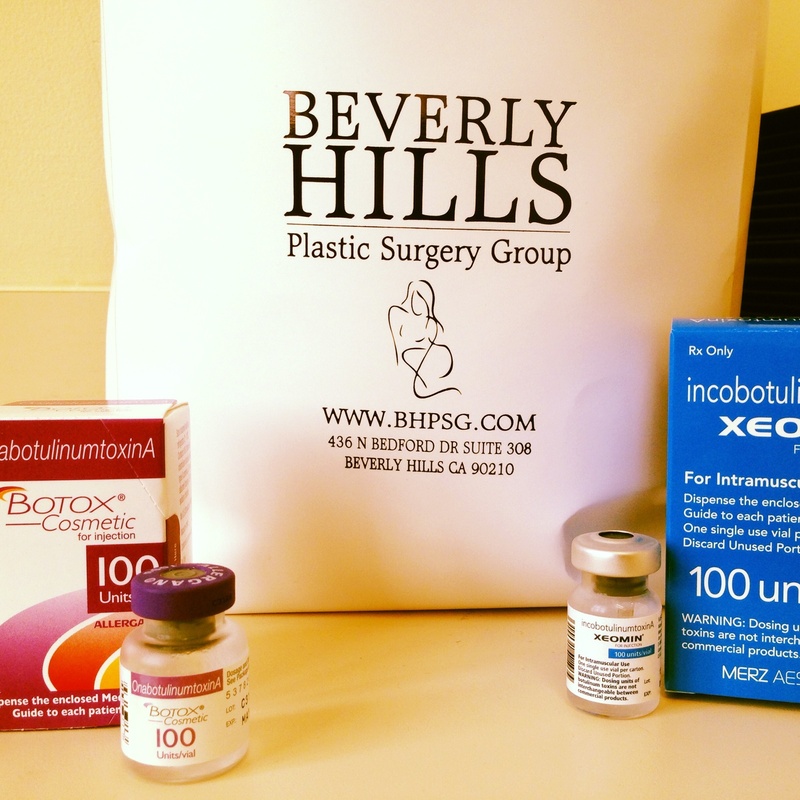 A quick visit to Beverly Hills Plastic Surgery Group and you will receive your treatment in less than 15 minutes. Although no bending over or strenuous exercise is advised for at least 4 hours following the treatment, there are no other precautions to take. Botox and Xeomin areused to treat crow’s feet (lines on the side of the eyes, usually caused from squinting), the frown lines (otherwise known as the “11”, the area in between the eyebrows) and the forehead wrinkles. Other areas of the face can also benefit from Botox or Xeomin injections such as the bunny nose (lines in the nose usually caused by a scrunching motion), the masseter muscles (the muscles on the angle of the jawline) and also platysmal bands (unsightly bands that hang from our neck as we age). Call us today and schedule your appointment for Botox or Xeomin!